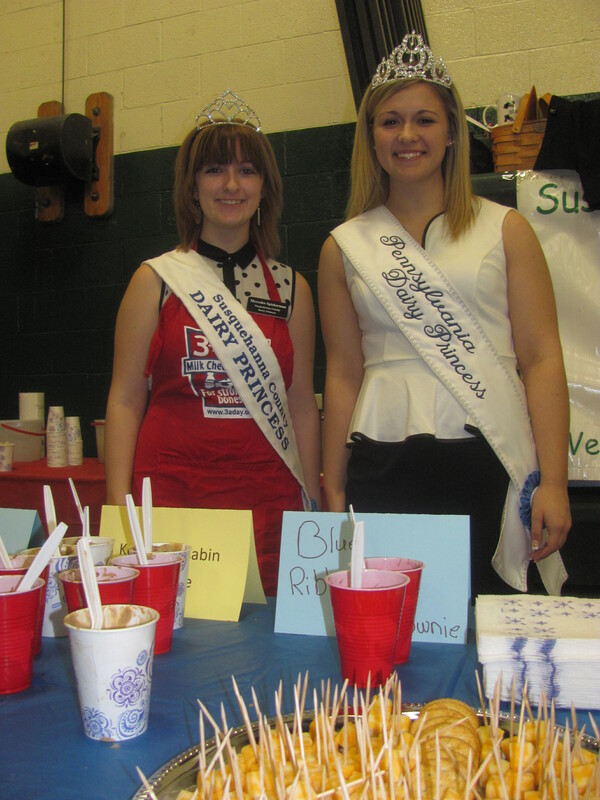 Susquehanna County Dairy Princess and Elk Lake High School junior Merecedes Spickerman (left) and PA State Dairy Princess Lu-Anne Antisdel from West Warren, Bradford County, were among the dairy royalty who offered milk, cheese, and ice cream to guests at the newly combined Ag Day held in Dimock last week. 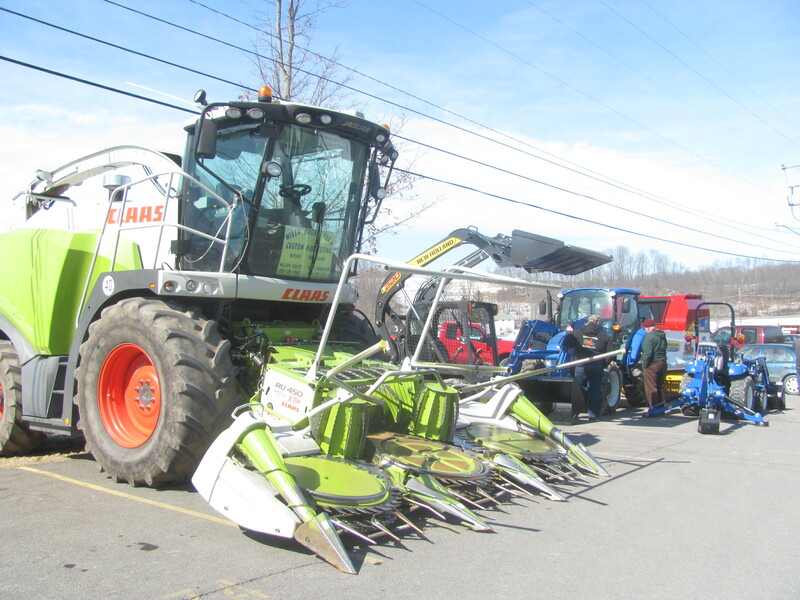 The gamble by the Penn State Cooperative Extension and the Susquehanna County Farm Bureau to expand the county’s long-running Dairy Day to include many more aspects of agriculture paid off with a very successful Ag Day held at Elk Lake High School on March 7. The school’s gymnasium and the hallway leading to the cafeteria were lined with vendors and representatives of organizations, some of which may not have seemed to have direct ties to agriculture until one engaged in conversation with knowledgeable and friendly representatives. In between speaking with suppliers of ag related products such as seed, fertilizers, and pesticides and lending institutions and insurance brokers who specialize in ag-related loans and policies, visitors were treated to free milk and cheese by local and state dairy royalty and enjoyed an extremely affordable ham and macaroni and cheese lunch. This year’s Ag Day represented a merging of related events from the past that coordinators from the Penn State College of Agricultural Sciences felt would better serve participants and guests if they were united. The new event is designed to simultaneously represent a broader spectrum of the many facets of agriculture in Susquehanna County. Several elected officials, including Senators Gene Yaw, Lisa Baker, and Reps. Sandra Major and Tina Pickett made known their support for regional agriculture through exhibits and a lot of handshaking. Free health screenings were conducted, and seminars held in classrooms covered maple syrup production, raising poultry at home, pollinators and pesticides, weed control, poison control and farm safety for kids. A pie baking contest drew numerous entries, and there were exhibits of large farm machinery in the parking lot outside the gym. The pies were later auctioned off. Large crowds gathered in the gymnasium of Elk Lake High School where numrrous exhibits provided information applicable to farmers and other growers and ag producers. 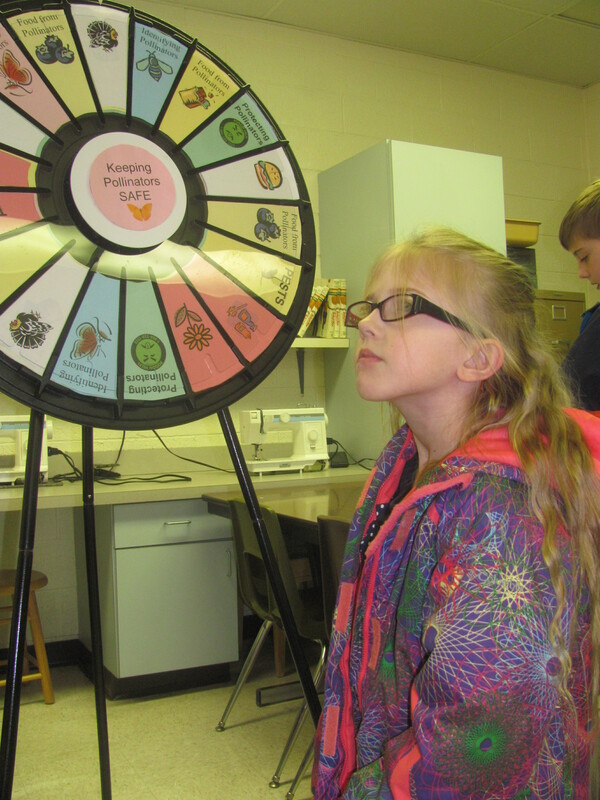 Penn State Cooperative Extension and Master Gardeners Program and the Susquehanna County Farm Bureau provided interactive displays and demonstrations for children and their parents. 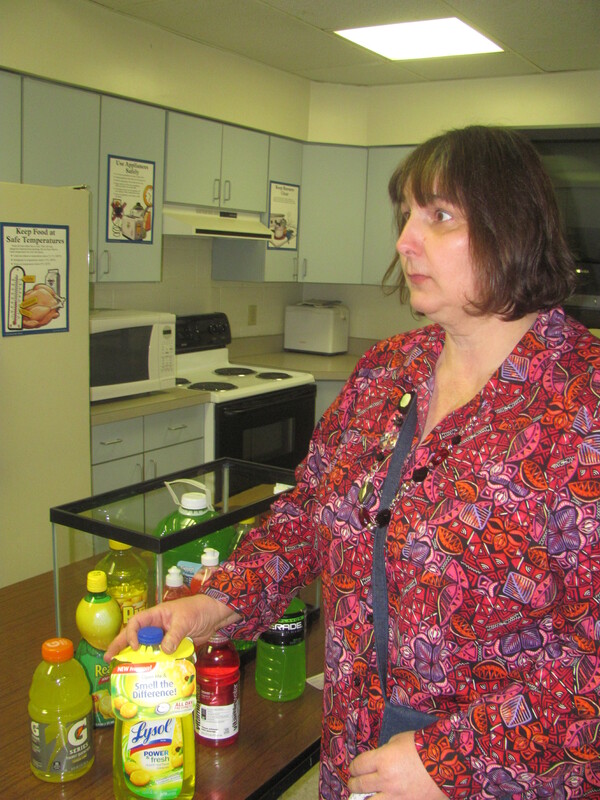 Here, instructor Cheryl Matulevich explains how many household cleaners and otherwise hazardous products can look very much like candy or soft drinks to children under 6 who cannot read the labels. The classroom also featured a farm diorama that invited guests to look for hidden dangers. 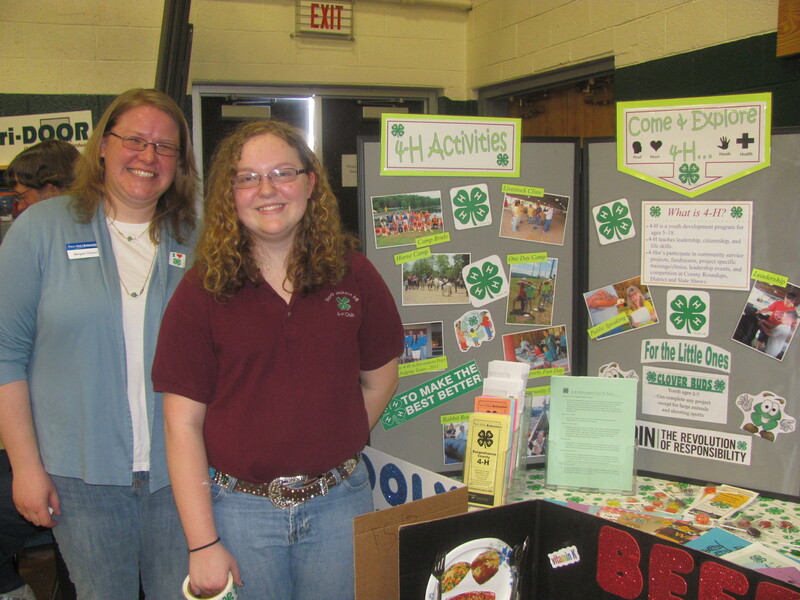 Susquehanna County 4-H instructor Abigail Onyon (left) and 4-H member Emily Supancik were looking for new members as they shared with kids and their parents the wide variety of opportunities available through the highly active club. “They like that the displays are interactive,” said Supancik. 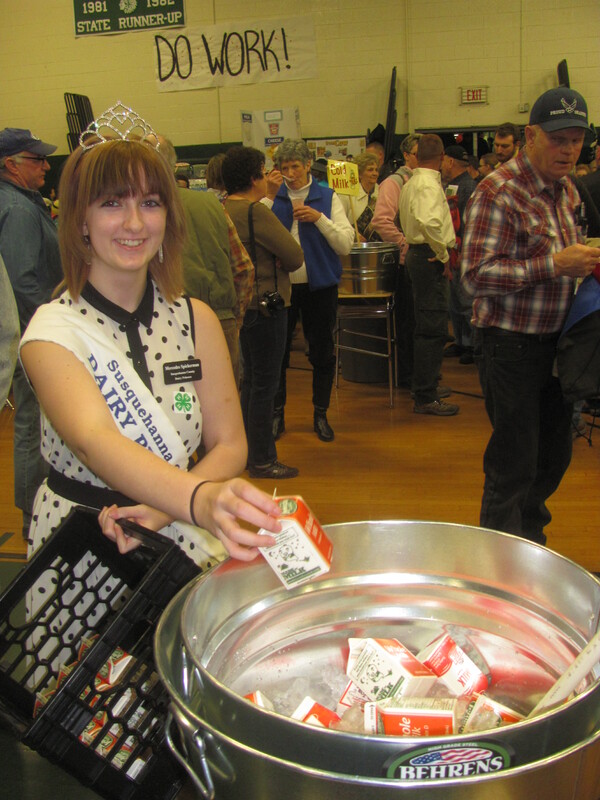 Susquehanna County Dairy Princess Merecedes Spickerman Elk Lake 11th grader reloads a cooler containing free cartons of regular and chocolate milk. Madisyn Casselbury of Hop Bottom listens intently as Cheryl Matulevich (not pictured) explains the importance of bees to agriculture and the challenges faced by the helpful insects. Madisyn attended Ag Day with her grandmother, Vivyenne Pascoe. 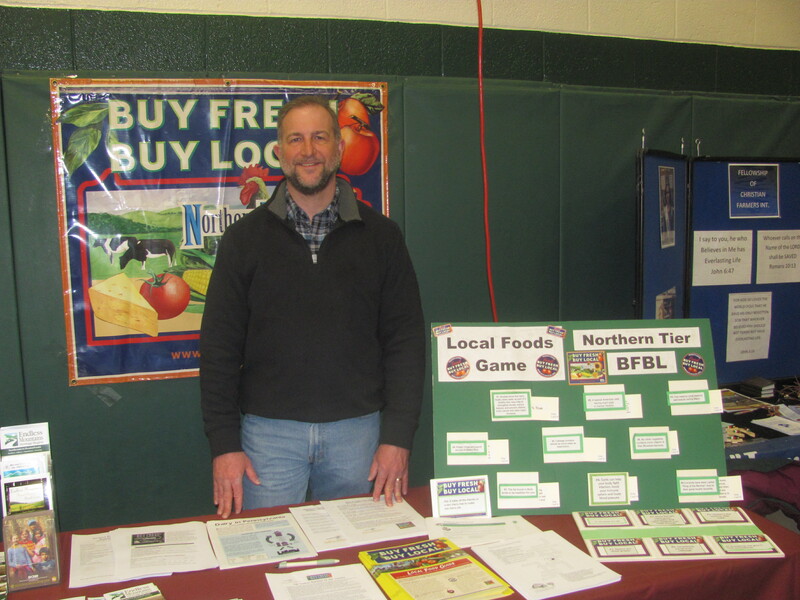 Endless Mountain Heritage Region personnel Phil Swank and Lydia Whipple (not pictured) represented the Buy Local Buy Fresh program on Ag Day. They were pleased with the contacts that they made with local growers and other entities like the new Endless Mountains Health Center that could benefit directly from fresh produce. 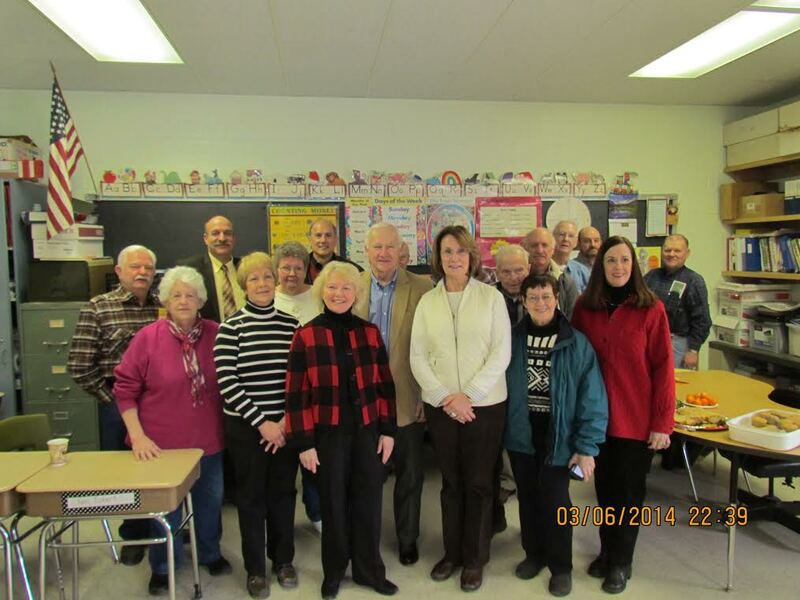 Reps. Tina Pickett and Sandra Major (front, center) congratulated coordinators of Susquehanna County’s Ag Day on March 7, including representatives of Penn State Cooperative Extension and Master Gardeners Program and the Susquehanna County Farm Bureau.